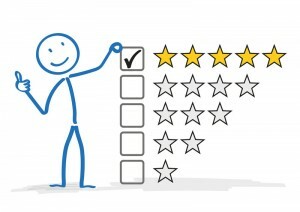 Customer Feedback & Testimonials are very important to everyone here at California Crafted Marble. We value each and every customer as a VIP. 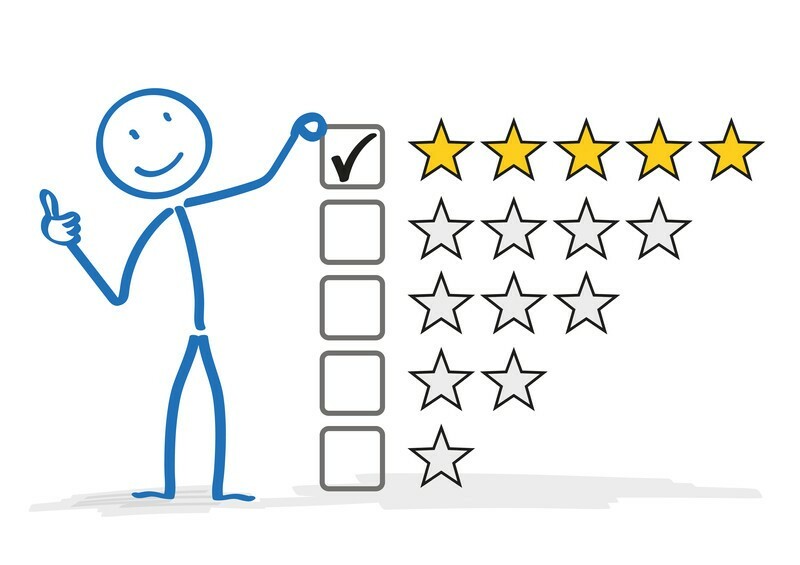 Over the years, we have received numerous thoughtful and inspiring cards, letters, emails, and on-line reviews from satisfied customers that have helped us mold into the company we are today. We are proud to share some of those experiences from others with you. Used your product 13 years ago in our last bathroom remodel. We like how it lasted so when we decided to convert the tub to a walk in shower we knew we were going with Cal Crafted Marble again. Although there was an installation problem it was resolved to my satisfaction. Terrific experience from initial visit to final installation. Jill was very knowledgeable and guided us through the search of the CCM large remnant inventory. Measuring and installation was flawless, and everything would have been 4.0 except the delay in installation scheduling (total of 5 minutes) to the end of the day, which was ultimate delayed. Overall Great!! I love the product and the installation went smoothly and professionally. I am very satisfied with the installation as it looks great. The one issue I had was that during install some of the stain got rubbed off our cabinets and the team said it was from water. I find it hard to believe that water would take off cabinet stain and I will now need my cabinet company to come back and fix. I told Rebecca about this and she was awesome and said that CCM would pay for any repairs if my cabinet shop did indeed charge me. That was a very professional response from her and I was very happy with it and again the kitchen looks great. Nice work. Love the job you guys did and recommended you to a neighbor who used you as well. It was a pleasure to work with the CCM team. They were incredibly responsive at every point in the project. They provided a reasonable quote, were very punctual at each house visit, and kept me informed of next steps all along the way. The countertops and sinks were installed on time and without any issues. Thank you for the great product and service. Great product and we’re very satisfied with the way our shower turned out, it looks great. GREAT JOB, WE ARE VERY PLEASED WITH THE RESULTS! Installers were nice to work with and did very nice work. My wife and I worked through Dixieline to get our cabinets and quartz counter tops installed. California Crafted Marble did the counter tops. CCM installed the counter tops but we had a couple of issues that needed correction. CCM admitted their mistake, graciously I might add Jordan, the owner, came to our home to inspect what was needed. They came back and fixed the problem which included a new quartz counter top for the sink area and now we are completely satisfied. They even upgrade our counter top and gave us a remnant piece that we can incorporate into our splash guard. How many companies do that? Not many I assure you! When everything goes well it’s easy to write a favorable review but if it doesn’t and the company steps up and makes it right that’s when the true colors of a company comes out. I would recommend CCM highly because of their reaction. Well done! And thanks, Jordan, for valuing our business. Readers, do yourself a favor and use California Crafted Marble! Istallers were nice to work with and did very nice work. Everyone was helpful and professional. Rebecca was very helpful with explaining the process and what my choices were with different grades of product. The installers were very polite and did a great job on my kitchen. I am very very very happy! Overall the team was great to work with. Breana’s follow up was fantastic! From start to finish your company made the process seamless. I am quite satisfied with all aspects of my experience and would recommend your business without reservation. Very Happy with the overall experience and final product, will be back for my next couple of projects. This was our second project with this company. We are very happy with their service and support. I am so happy with the workmanship and how my finished bathroom looks. Everyone at California Crafted Marble that I worked with was very professional and helpful. Salesperson, Kim, left in middle of project. There was a little mix up with appointment but the rest of the staff did their best to accommodate me. Other than that I’m very pleased with my new bathroom countertop. We went thru Lowes. When your guys came out to measure, they were right on time and great guys, then at install fantastic guys again, very polite, concerned about where to park, where to work, not track dirt in, laid cardboard on floor, (we are re-modeling and on open dirt lot) they were over concerned about even the smallest items. They did an excellent job and treated the place like it was a high end install, this was just a granny flat in half of the garage. I’m in retail too (motorcycle and ATV sales). I wish my employees were this nice to my customers. I did not get names of the two guys that came out, but you should buy them both a 12 pack of Pacifico! Outstanding service both in sales and in the installation, great product. Great service from the entire team. Cliff was extremely efficient, installation team was great (and fun attitude), office staff always responsive. My two installers were so professional and very careful in everything they did in my small bathroom. It was very hot that day so I hope my air conditioner helped keep them cool. I was very happy with the outcome of the shower and with the overall experience, it was all done very neat and clean. The men were sure that they kept the carpet covered and were over all very considerate. This is a letter we are happy to write. Our letter has been delayed due to visitors. We must congratulate California Crafted Marble on the splendid job you have done on replacing the bath in our main bathroom. All our communications with you, right through the planning and construction, have been most pleasant. When a question arose during the process, it was cheerfully attended. Any change was honoured without hesitation. There can be no doubt how you extended yourselves to make sure your clients were happy. Your install crew, “Cliff” ad “Steve”, did a great job and went out of their way to make sure we were informed and satisfied. We must commend you for your honest business dealings with us. We would extend a very positive reference to any prospective client. Our entire experience with California Crafted Marble was wonderful from beginning to end. I would definitely recommend them. Love my bathroom counter! Love the sinks, too! Was happy to find such an attractive remnant in your yard. We have used your company on numerous jobs. Wouldn’t go anywhere else. Smooth and easy. Just like the last time I used CCM. I have waited 25 years to remodel my kitchen. We went to Arizona Tile to select our granite and wanted a local fabricator/installer to do our counter tops. California Crafted Marble was the first business referred to us and we are so glad we had them do our project! Rebecca and Jorge were wonderful and helped calm my nerves as this was all new to me and mean’t so much. The counters are absolutely beautiful. The whole process was so professional but personal too. We are so glad we could hire a local business and have my dream kitchen come true. Thanks to all of you. I was thrilled with the whole experience. It was worth the wait!! !We have used your company on numerous jobs. I had a great experience with California Crafted Marble. Rebecca was very helpful and knowledgeable about the products and what the company provides regarding products and service. The field crew were also very professional and knowledgeable. The whole project from start to finish was done with amazing professionalism. Was very pleased with the people I worked with and the work that was done. The counter top looks as nice as we thought it would be. I do enjoy my countertop. I have received many compliments. We found California Crafted online, and I’m certainly glad we did. We got exactly the remnant piece of granite we were looking for and they were a pleasure to work with. We have recommended your company to friends and acquaintances. We were very happy with every part of our interactions with all members of your company. Thank you. We love our remodeled bathroom. Your company was great to work with and the quality of the materials and the installation were top notch. Great work by a great team – thanks to all. Veronica jumped right in and answered all my questions, showed me samples, and sold the job. I will be back soon when I start on the master bath. Very happy with the product and company. This was my 3rd experience using California Crafted Marble for bathroom renovations. The 1st was in a friend’s house. I was so impressed that I used CCM when renovating my guest bathroom and later my master bathroom. Everything about CCM is first rate – the sales personnel who patiently guided me through the selection process of CCM products and plumbing hardware, the installers who were very careful and precise, and the quality of the products themselves. The entire CCM team was a pleasure to work with. I heartily recommend California Crafted Marble! The bath countertop was the perfect item to complement our tile and paint selections. Rebecca was knowledgeable and helpful in finding the appropriate material and the installation went quickly and very professionally. This called for some special adjustments as the countertop was mounted and the installers were quick to recognize and adapt to our needs. We would certainly recommend you to friends and family. I first became familiar with California Crafted Marble when I was working as a project manager for Marrokal Construction Company. California Crafted Marble was the preferred contractor for cultured marble and other solid surface counter tops and products. I was immediately impressed with their high level of customer service, timely performance, and quality of product. Their hard work made my job easier, and our customers were always pleased. Several years ago I began my own business, and had the choice of who I would trust with my work in these areas and decided to remain with California Crafted Marble. Dear California Crafted Marble, it has been such a pleasure working with your company through our contractor. Our situation offered some unique problems, but everyone was patient, helpful, and professional. We appreciate the team effort and honesty in addressing and solving the problems. My kitchen and dining room look beautiful! Thank you for taking the time and effort to make our granite installation so nice! Hi, just a quick note to say that the installation of the shower went extremely well. I received excellent service from the installer Saul and his helper. I am looking forward working on future projects with California Crafted Marble. We are pleased with the quality product and the installation which makes the bathroom look like new. The faucets have been installed and the plumbing connected without difficulty thanks to the fine work done by your staff. We want you to know how impressed we were by your staff during our first visit to your showroom in Santee. Your sales staff is knowledge of the products, options to consider, prices and costs, and their assistance made it clear on what was best for us and sold us on California Crafted Marble for this project. Your staff also provided guidance on options to consider for replacements. Thank you. I just finished a complete bathroom remodel including a double sink manufactured & installed by California Crafted Marble. I had priced granite & quartz counter-tops before I lucked out & found CCM in Santee. They made a custom double sink counter-top for my master bathroom that I am totally satisfied with. The colors, style & design are better than I had hoped for. Price was the best part. With the large size, custom colors & double sinks, plus installation, it was less than I had budgeted. If you want quality & price, quick manufacturing & installation, then contact California Crafted Marble of Santee. I’ve used this company five times over the past years and they’ve always delivered on time and on budget. The workers are well trained and answer questions thoroughly.